Cleary Millwork has offered our customers stair expertise in design and manufacturing for over 20 years since the introduction of Cooper Stairworks in 1991. No matter what your stair needs are, Cleary is your source for preassembled stairs, stairparts, spiral and attic stairs, and stair accessories. With our state-of-the-art design and construction techniques Cleary will build a stair to fit any need. Our various in-house capabilities allow us to offer a complete stair system using either stock components or custom designed to your own personal choices. 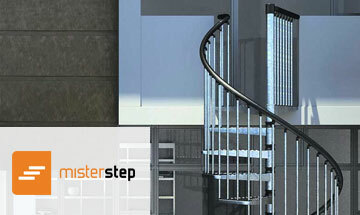 The preassembled staircase has long been considered the most feasible method of stair building. Its advantages of fast installation and jobsite labor savings are well known. And now Cooper Stairworks’ most recent adaptations and enhancements to our stair systems demonstrate additional savings over site-built stairs, exceeding the quality expectations of the most discerning craftsman. Cooper Pre-Fit Rail Systems are shop fitted to Cooper Preassembled Stairs. The combination of these two products eliminates countless hours of on site carpentry and assures that the final product will be constructed using time tested stair building techniques and the best quality materials available. 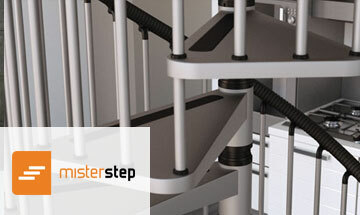 The use of Cooper Stair Systems helps you save substantially over other methods. Add value to your next project with Cooper quality and expertise. At our state-of-the-art facility in Somerset, MA we manufacture all the parts you need to create your stair including box and Legacy newels, treads, risers, starting steps, winder treads, fittings, balusters, handrail, shoe rail, fillet and rosettes. Many sizes and species such as oak, sapele and maple are available in stock. 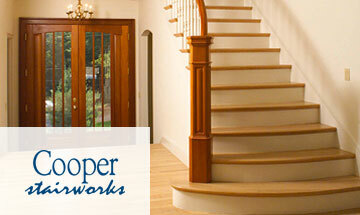 In addition, Cooper Stairworks is capable of producing any custom design. 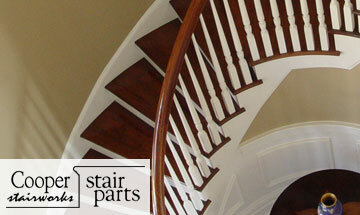 Cleary Millwork is a stocking dealer of Fitts Stairparts. Fitts is a world leader in manufacturing stair component parts to the highest standards on the market. 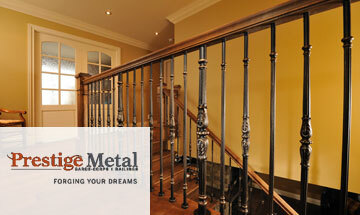 We have a large stock of oak, beech and iron newels, balusters, hand rail, fillet and fittings. Prestige Metal offers over 125 models of stairway balusters from the most classic to the most contemporary styles, in over twenty colors and finishes, plus top of the range accessories that are both practical and essential. Proud ambassadors of Italian elegance in the world, Marretti staircases are the result of ongoing research for the aesthetically beautiful and a passion for detail. 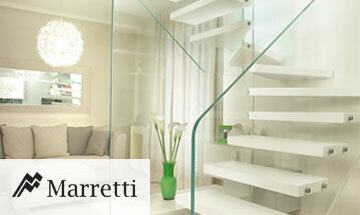 The last step in every Marretti staircase is the first step towards a new project. It’s been like that since 1970. Marretti has been creating bold shapes for over forty years that meet the customer’s every demand. Stair sculptures, around which the environments take shape. Invisible stairs made of light. A perfect solution for a well designed spiral stair at an economical cost. 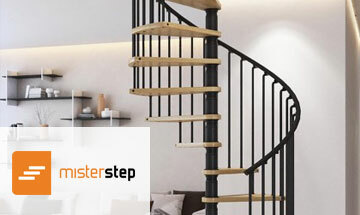 Powder-coated metal steps with adjustable rise. Universal landing platform to fit any well opening shape. Both for residential and commercial applications. The ideal spiral stair kit, with quality materials, easy assembly and adjustable rise. Wood treads and solid helical handrail, knock down in adjustable sections. Gamia Wood is available in three different diameters and can be adapted to various opening shapes. A cost effective, durable and reliable outdoor spiral stair. Hot-dip galvanized metal parts, stainless steel hardware and flexible, easy grip plastic handrail. Can be painted over the standard zink finish. Extremely compact solution, with alternating treads of 9-1/2″ depth, to combine safety with space saving. Solid (laminated) beech steps and handrail, with a number of available accessories, such as the quarter turning platform. 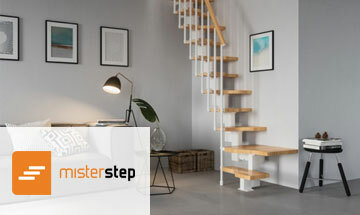 With Mini you can put a permanent stair where only an attic stair could be installed. 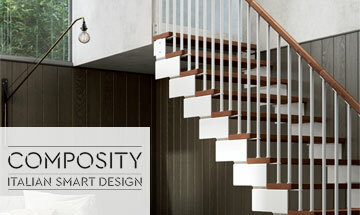 Composity is a new stair concept sure to revolutionize the stair industry. Born from Rintal’s stair system philosophy and developed in collaboration with world-famous architectural house Giugiaro Architettura, Composity represents the Rintal vision of Italian smart design. It brings together beauty, versatility, innovation, modularity and technology in a unique combination that surprises and delights. Composity translates contemporary design, making visual lightness its hallmark. The hidden hardware in the structure, will bring focus to a multitude of steps and railing options unequaled in the market place. Spiral stairs are space saving, attractive and give quick access to areas that were not accessible before. Combine these characteristics with the quality craftsmanship of a Ravenwood stairway and you will create a focal point of beauty and character for the life of your home. Ravenwood spiral stairs are available in 47″, 55″ and 63″ diameters in your choice of Oak, Maple and Spruce. 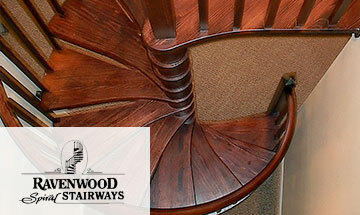 Ravenwood assembles every spiral staircase in their workshop to ensure easy installation. Whether you are looking for telescoping attic stairs or folding attic ladders, the Rainbow Attic Stair family of products represents the highest quality solutions and most innovative metal stairs for attic and other space access available for residential use. 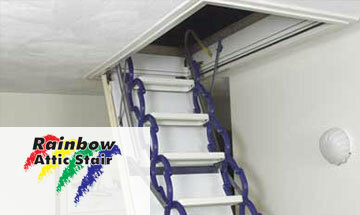 Easy to operate, these folding stairs are built to last and packed with features you want in attic stairs. For residential use only. 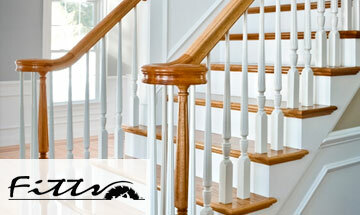 Cleary Millwork stocks the Marwin Atlas and Superior models of disappearing stairs. 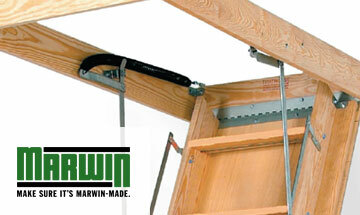 Marwin stairs meet or exceed ANSI standards and are easily adjustable with spring tension. They both offer energy saver insulating package which comes with factory installed 3/4″ thick, R-5 Rmax aluminum foil faced insulation panel. Ready to install without further installation. The Atlas has a 250 lb. rating, 1 x 4 frame and stringer, 1 x 4 trade and one strong metal handrail. The Superior model is rated for 300 lbs. It has a 1 x 5 frame and stringer and a 1 x 6 tread with two strong metal handrails. 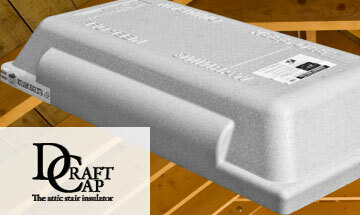 Draft Cap is affordable, lightweight and easy to install and offers the simple solution to insulation building codes. Made of durable dust free expanded polystyrene foam, Draft Cap covers the attic stair opening to prevent air flow and meets all local and federal energy codes for insulation. Fits standard 25-1/2″ x 54″ rough openings. Weighs only 8 lbs. R-value of 11. No assembly required. 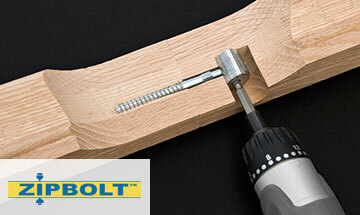 The ZIPBOLT™ UT – RAILBOLT uses the same boring configuration for bolts commonly used in the industry, with a very big difference. The use of a one-piece totally integrated gear system that replaces the old nut and washer. Assembly that simplifies joining parts together using common bits and drivers. Using a 5mm hex head driver, the installer no longer is trying to fit a nut and wrench into a 1″ hole. The hex is inserted into any adjustable torque drill, and makes tightening the gear head easy. In addition to the Zipbolt UT Rail Bolt, Cleary has many products in stock for use in joining rail segments and fittings, newel post fasteners, post to post fasteners for balconies, angled railbolts for post to post on stairs. We also have exterior products for deck installation including post to post rail bolts and a post anchor.